THERE is something surreal about this time of year. Christmas lingers like a long hangover, we are still not locked into the new year and we spend too much time watching television. Maybe that's why I spent last week ruminating about three local heroes: Enda Kenny, Ronan O'Gara and Paidi O Se -- the last two being the subject of big television profiles over the holiday period. Enda Kenny did not have or need a television profile. Although he is reluctant to be interviewed on television, his presence is pervasive on our screens. Politically, he commands all he surveys, like David's famous portrait of Napoleon crossing the Alps. Michael Noonan deservedly got a good press for his gift of presenting good and bad news with a persuasive palaver. But he is there by the grace and favour of Enda Kenny. The Taoiseach now exerts a tighter grip on party and country than any leader since the foundation of the State. Kenny has been helped by three things. First, by his decision to continue Bertie Ahern's divisive policy of protecting the public sector at the expense of the private sector. Here he has been hugely helped by the Labour Party. Labour has helped Ireland become (as a recent ESRI report revealed) a two-tier society where most of those with third-level qualifications have been able to stay at home, while those with Leaving Certs or less have had to leave. Second, another Labour bonus for Kenny is the loyal, not to say servile, support of Pat Rabbitte. Thirdly, the good news policy by the money-stuffed national broadcaster -- His Master's Voice -- has been followed by most pundits in the print media. Here motives are more mixed. Many of the political correspondents invested so much energy in inveighing against Ahern that they have no choice now but to big up Kenny. Whether this policy will help sell papers -- especially as internet sites pick up the critical baton -- is moot. Finally, Kenny has been lucky. Famously, it was the quality Napoleon most prized in his generals. But luck only opens a window. Kenny was fortunate in coming to power after the crash, but he can take credit for leveraging his luck with the help of a lifetime of political skills. These skills range from stroking Pat Rabbitte's ego to that of standing close to ministerial success while standing well back from ministerial messers. Like Napoleon, however, Kenny cannot know what finally lies beyond the Alps. He must hope that Lucinda Creighton is not waiting there, like Wellington at Waterloo. 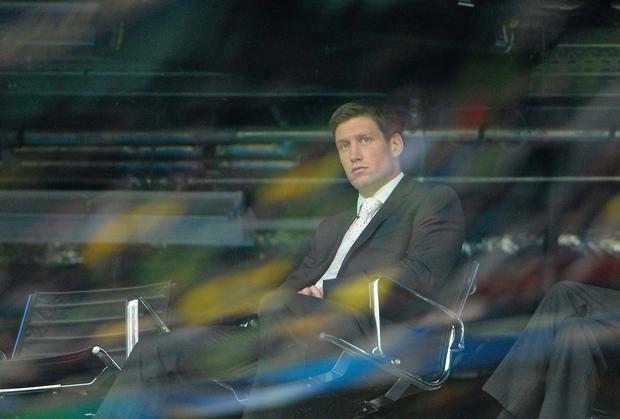 RTE's Ronan O'Gara documentary was disappointing. The honesty of its hero helped to disguise a wasted chance to make a classic. After all, it had all the dramatic ingredients: Ronan O'Gara as a fine flawed hero; Johnny Sexton as his rival and nemesis; Declan Kidney as a foreboding force. So why did it lack dramatic tension? By having no discernible structure. By believing that all you need is a lot of footage of a local hero talking frankly. By fecking so much on to the screen without a supporting structural foundation, which I prefer to call plot. This flaw can be found in almost every major documentary since digital displaced film. Film was expensive and forced directors to be frugal in shooting and thus follow some kind of structure. But digital allows directors to keep shooting and then dump the clutter on some hapless editor. But racking up footage of a hero is only a first step. The next step is to cut that raw footage into a rational three-act structure where hero sets out on his journey, passes through a trial and emerges on the other side bruised and battered but a lot wiser. ROG had no such structure. As a result it hopped confusingly back and forward. Furthermore, it was so grateful to get O'Gara that it did not firmly direct him away from repetitions and into fresh territory. A final flaw, especially when addressing a general audience, was that it assumed rather than revealed O'Gara's legendary status. As a result we got no proper dramatic build-up to the film's core period of four years -- not even the Grand Slam. Give the same footage to Sean O Mordha or Gerry Gregg and I guarantee they would cut it into a coherent chronicle that would build by increasingly dramatic increments to a final cathartic destination -- the car scene between O'Gara and Sexton, which, properly prepared for, should have left no dry eye among those watching at home. One last complaint. Given the documentary was being watched by a general audience, why did it not deal with the controversy about O'Gara keeping his hands in his pockets when he met the Queen? Like many people at the time, I put the gesture down to either general locker-room loutishness or republican grandstanding. So I was somewhat relieved to read a few months ago in the Irish Times O'Gara's convincing, if belated, repudiation of either bad manners or republican symbolism. I do not expect players to be without politics. Indeed, the IRFU's ignorant retreat from politics during Apartheid left a dark cloud over my favourite field game after hurling. So I could understand why in past times a northern nationalist might not want to shake the Queen's hand. But I would expect them to also explain they were not disrespecting an elderly woman doing her duty. Manners matter. Lenin warned that Stalin's uncouth behaviour to women was a sign of his inward warping. O'Gara's explanation was both simple and credible. He has sweaty palms. "I like to think I present myself well, so I put them in my pockets to keep them dry." A photo, taken a second before he took them out, did the damage. Rightly, ROG takes the matter of good manners as seriously as political symbolism. "Be it the Queen or the Pope or anyone in a powerful position, and especially a lady, I don't believe you should be rude or treat them discourteously." But he also repudiated any tribal significance. "Ninety per cent of the Ulster team are Protestant and many of them are my friends." And he distanced himself from some awkward allies. "I received supportive letters from rabid republicans. I am a very proud Irishman and a Catholic, but I am not a republican." Actually, given his generous remarks about his Ulster colleagues, I think Ronan O'Gara may very well be a republican. A real one. Finally, let me pay tribute to Louise Ni Fhiannachta's fine TG4 programme, Paidi O Se, Ri an Pharoiste, shown on Christmas Day. And ask why Paidi O Se came across as a more complex and rounded character than Ronan O'Gara in spite of both having so much in common? Both strived obsessively for excellence in a field game. Both found that age was the only opponent they could not overcome. Both were left with huge holes, one oval, one round, in their lives. But while the lasting impression left by the O'Gara film was that of a lone hero, the O Se film, thanks to Louise Ni Fhiannachta's firm moulding of the raw footage, showed us a hero with a social hinterland. Without making a meal of it, what the two films revealed was that while rugby -- except perhaps in Limerick -- is still a game, the GAA is a whole life.